Writing a recipe for a cookbook is very similar to writing it for a blog but here is an overview of the different components that can go into a recipe. A recipe really only needs either ingredients or directions ( the preparation method) to be considered complete. At a minimum most recipes have a title, ingredients list, and preparation method. If you need a more robust look at recipe writing we highly recommend The Recipe Writer's Handbook. It's a comprehensive guide to writing recipes including the different components, proper styles, and other important considerations. The title of the recipe is the name used to refer to the recipe throughout the text of the book, including the table of contents and the index. The name should usually be simple and declarative, quickly conveying what the recipe is for. Try to be consistent with the yield throughout the recipes in your book, both in wording and in relative size. 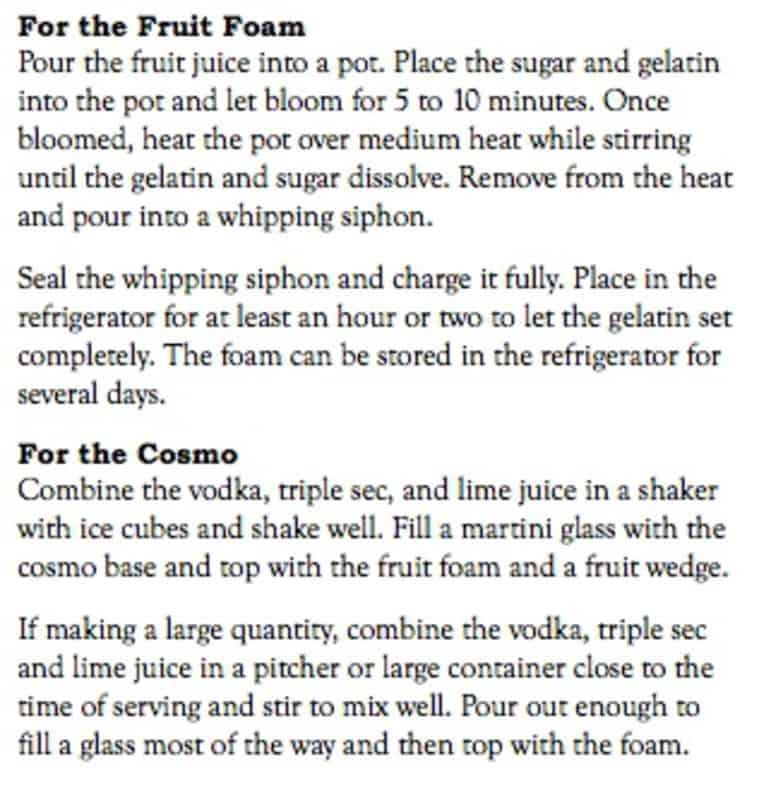 Headnotes are the introductory text at the front of a recipes. Many cookbooks, especially more recently written ones, make extensive use of headnotes. Headnotes are a place to sell the reader on the recipe, provide more information they may need, and paint a picture of what the final dish will be. Some flatbreads use pesto as a base sauce but this recipe separates out the pesto components and allows them to shine on their own. The basil is turned into a thick drizzle for the flatbread while the other ingredients remain whole and add bursts of flavor. My mother-in-law is a huge fan of beets but I never ate them growing up so I'm still not completely sold. I've been trying to work beets into my cooking so I can develop a better appreciation for them. Turning them into crispy chips is one way I've found that I really enjoy beets, especially when served with flavorful dips. 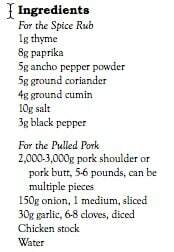 I really enjoy how the sweetness of caramel complements pork. 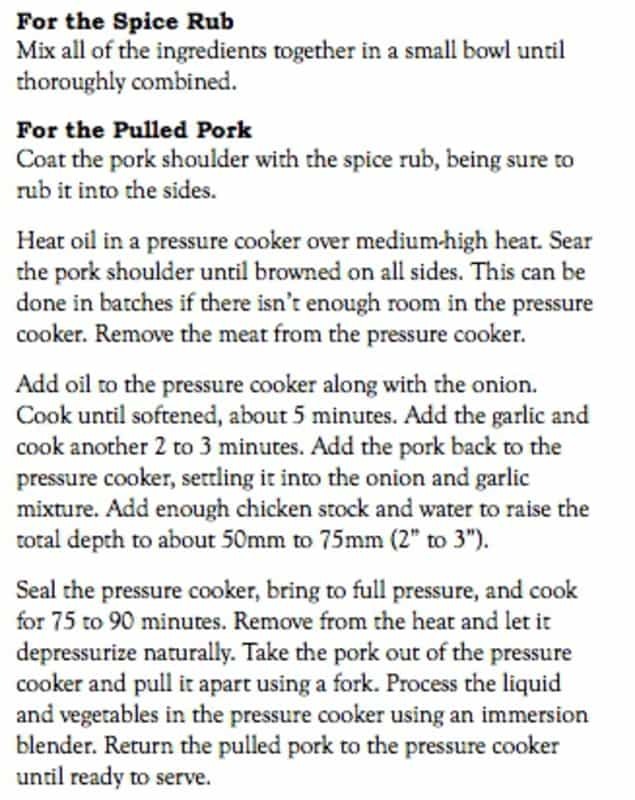 This recipe uses a rosemary caramel to act as a sauce for some sous vided pork. You can season the caramel with many different spices and it gives you a wide variety of flavors you can add to a dish. The ingredient list is one of the most important parts of a recipe. 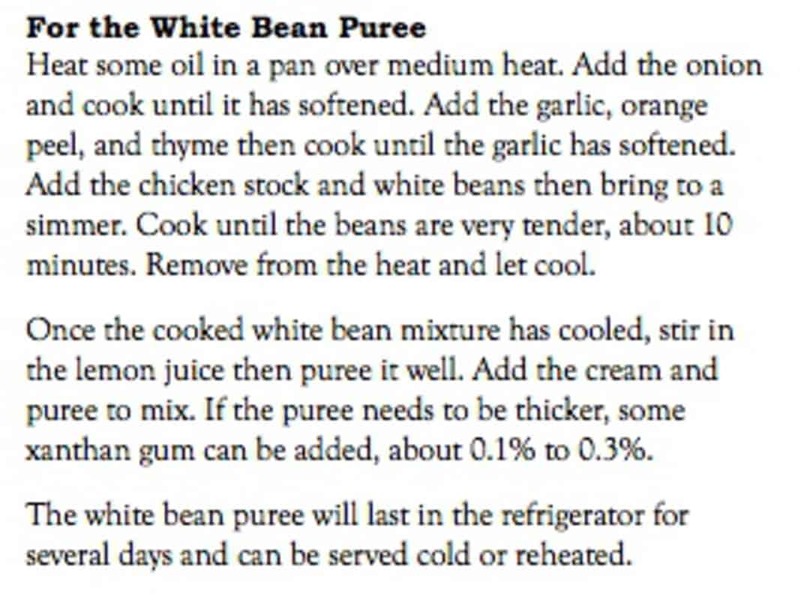 It lays out all the ingredients that a reader will need to recreate the recipe at home. 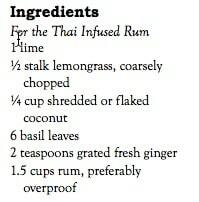 It should contain the amount of the ingredient needed, as well as the name of the ingredient. Normally each ingredient is on a separate line and listed in the order it is used in the recipe. The preparation method is another very important part of your recipes. It explains to the reader, step by step, exactly what they need to do to prepare the dish at home. The amount of detail you go into will depend on your avatars and the complexity of your recipe. It's almost always better to err on the side of too much information than too little information. You will often have to rely on recipe testing to get feedback about whether your preparation methods are clear or not. If your book is focused around healthy eating, providing the nutritional information can be invaluable for your readers. There are many different ways to provide the nutritional information ranging from a simple statement of "this has no sugar in it" to a more complex gram breakdown of fat, sugar, and carbohydrates. It can be very helpful to your readers if you let them know how much time a recipe will take to make. This can take the form of the total time or it can be broken down into the preparation time, cooking time, and total time. It's also good to call out if a part of the recipe will take a really long period of time, such as marinating over night. Providing variations on your recipe is a great way to help readers think of new ways to customize the recipe. This can take the form of suggestions for substitutions, alternate preparation methods, or different directions the recipe can be taken. For a vegetarian take on this dish, substitute the ground meat with 2 large portobello mushrooms. This marinade also works well with fish, just replace the chipotle peppers with lemon peel and cumin. Recipe notes are a place where you can share more information with the reader. This can include places to purchase hard-to-find ingredients, storage tips, suggestions for timing, re-heating ideas, alternative ingredients, drink pairings and anything else that doesn't fit into the other components of the recipe.